Some years ago, only few people knew which countries belonged to the Visegrad Group but in the meantime Visegrad has become synonymous in Western Europe with a lack of solidarity, insularity and nationalism. The impression is that Eastern Europe is for the most part governed by self-centred, eurosceptics intent on weakening democracy while happy to take money from the various EU funds without ever participating constructively in Europe’s future and unwilling to share any of the burdens. Despite the alarming news coming out of Hungary, Poland, the Czech Republic and more recently Slovakia, we would be well advised to differentiate between the varying political realities in these countries. We West Europeans, instead of indulging in satisfied self-righteousness that we are better democrats, should look to learn some lessons from these developments. In those countries that joined the EU in 2004, we can observe the acceleration and culmination of trends and problems that affect the whole of the EU. That does not mean that we should show understanding for Viktor Orbán. Nobody who cares about the future of European democracy can watch helplessly as the government of a Member State proceeds to secure permanent power, chip away at democratic institutions, bring the media under its control and seek to reduce opposition, both in and outside parliament, to a level where it is insignificant. In April 2018, for the third time in a row Orbán won sufficient parliamentary seats to give him the two thirds majority needed for constitutional change. This was also assisted by an electoral legislation reform passed by the Hungarian government at the end of 2011. Of the 8 million Hungarians eligible to vote in 2018, 2,8 million voted for the joint ticket of Orbán’s Fidesz party and the KDNP Christian Democrats – this is more a large minority than a convincing majority. 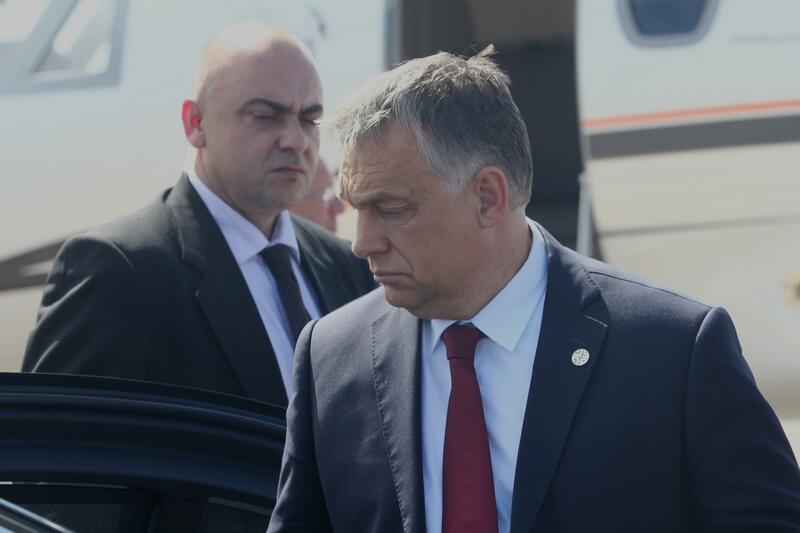 Orbán clearly does not subscribe to the principles of a pluralistic democracy. His government thrives on polarisation and bogeymen, on stigmatisation and conspiracy theory that are used to keep the population in a permanent state of anxiety. Orbán’s government, and only his government, is in a position to keep Hungarian society safe from both internal and external enemies and restore the country’s lost splendour – this is the narrative behind the legislation and extremely expensive hate campaigns that have become necessary for the government’s survival. They attack migrants and asylum seekers, especially Muslim’s, NGOs critical of the government, George Soros, the ‘Brussels elite’, the United Nations and academic freedom. Torrents of hate attacking those critical of the government have become part of everyday political life. Orbán has been able to use these tactics to mobilize his electorate and even improve his results. Compared to 2014, Fidesz-KDNP improved their electoral showing by about five percentage points. The presentation and adoption of legislation have become essential elements of the government’s propaganda machine. With their latest legislative packet, ‘Stop Soros’, that will very likely soon be passed after Orbán’s latest landslide victory, they plan to make it practically impossible for organisations helping migrants to function. Within days of the election, the government friendly weekly, Figyelő, published a list of so called ‘Soros mercenaries’. The Open Society Foundations’ recent announcement that they are transferring their Budapest Office to Berlin due to increasingly repressive political and legal pressure comes as no surprise. Analysis of the election results should also look at how the centre left parties failed to use their opportunity to block a government two thirds majority. For years the centre left parties have been fragmented, which has made it easy for Orbán to propagate his claim to be the only true representative of the nation. Some five regional lists were able to gain parliamentary seats via the second vote and three of them came from the centre left (a coalition of MSZP-P Socialist Party and “Dialogue”, the LMP “Politics can be different” and the Democratic Coalition DK). Together these parties polled around one quarter of the second votes. The strongest opposition party with 19% of the second votes was the extreme right Jobbik – Fidesz-KDNP got nearly 50%. Of the 106 directly elected seats, Fidesz-KDNP won over 90. The centre left only really won votes in Budapest. It is a sad fact that of the 88 directly elected seats outside Budapest, the government won 85 of them. This was most likely possible because the centre left parties were unwilling and unable to nominate candidates early enough to then ensure that only one centre left candidate stood in those constituencies where they had a chance of winning. They would have actually only needed one directly elected member to ensure that the government did not reach the blocking majority of 133 seats. In view of the seriousness of the situation, the lack of coordination amongst the centre left parties, due to both in fighting and party rivalry, is nothing short of irresponsible. Unsurprisingly, democracies in Western Europe are naturally more resilient, given their differing historical development to those in Central and Eastern Europe. The democratic institutions in the west are decades ahead of those in the east. Democracy has a firm place in school curricula in the west. In post socialist societies, coming to terms with the totalitarian pasts has not always advanced far enough. There are also wide differences in the quality of their media. It is also true that electoral victories by right wing nationalists in Hungary and Poland have allowed Orbán and Kaczyński to restructure the state and bring its institutions under their control. The Dutch PVV (Freedom Party) and the French National Front are, however, not just peripheral phenomena and we have not even mentioned the right-wing parties in Italy and Austria. Even in the west, the EU has lost its appeal. The nationalistic tone of the Brexiteers struck the Visegrad countries very negatively as the ‘Leavers” particularly railed against migrants from the eastern states of the EU. Just a few years ago, it would have been barely credible that the AfD would be the strongest opposition party in the German Bundestag. It is clear that the political circumstances in EU Member States both east and west have substantially altered. In a world that has become ever more complex with globalisation and digitalisation, increasingly large numbers of people are less willing to adapt to new situations. This is especially true of those who feel that the last few years have left them behind or fear the same thing in the near future. Anxiety about the loss of the status quo is widespread in the EU. Many have lost all faith that the future holds something better and trust in the ability and credibility of politicians has, in many countries, been lost in the wake of multiple crises. There is nothing new in the fact that throughout Europe certain politicians are willing to exploit the situation to gain political capital. In the Visegrad countries they are Orbán, Kaczyński and Okamura and in Western Europe we have Wilders, Le Pen, Farage, Strache and Gauland. The reasons for their success are strikingly similar. They exploit feelings of insecurity and fear for their own ends. As with one voice they claim that Europe’s culture is in danger. They fuel debate on the migrant crisis, which resulted in some very sharp upswings in their poll ratings in the wake of events in 2015. These trends are more visible in the Visegrad countries not least because they are younger democracies. One should not, however, assume that these differences are fixed in stone. Who today can rule out with any certainty that when we look back at these developments from the vantage point of the future that Orbán was in fact the trendsetter for the whole of the EU? The risk that this dystopia will become reality is not going to diminish by drawing dividing lines in the EU. Hungary is also about the future of democracy in Western Europe – for if we do not succeed in halting the blatant dismantling of democracy in Hungary, it will scarcely be possible to prevent similar developments in the rest of Europe. In the next few years we will have to find ways to discredit the arguments of these destructive forces in both eastern and western parts of the EU. It is naïve to think that we can achieve this by accepting their arguments. Convinced democrats need to get off the treadmill of fighting these slogans designed to spread fear and hate to split our societies. They should rather pool their strengths in order to convince insecure people with a confident message of the essentials: the EU, an open and tolerant union, is not the cause of the crises that we encounter today, but rather, in contrast to authoritarian systems, is far better placed to find answers to the complex socio-economic and security challenges we face. Then the EU will recover its appeal both in the West and the East. This article is leftist scaremongering and progressive nonsense. Fact.